At Bluewater Vacation Homes, it is our sincere intention to be good neighbors to the communities we serve in coastal San Diego County. We strive to maintain proactive relationships with the city, local businesses, our neighbors and associates as we, too, are homeowners and members of these communities. Our roots are planted deep here. Tourism is a large part of life along our golden shores and a major part of our economy. Vacationers arrive for the myriad of activities and attractions in San Diego. Whether it be to enjoy a day at La Jolla Cove, a bike ride on the Mission Beach boardwalk, building a sand castle at La Jolla Shores beach or a romantic stroll along the beach below Torrey Pines or Sunset Cliffs, anyone who is blessed enough to live understands the lure of our sun-kissed beaches and against the surf of the beautiful Pacific Ocean. We are fortunate to live our lives in the shadow of such magnificent beauty and many of us wish to allow visitors the opportunity to experience a taste of what it’s like to live here. Why Do Owners Rent Their Vacation Homes? As a vacation home. Here to use when they have a chance to visit and rented out to cover expenses when it would otherwise be vacant. Help with the mortgage and maintenance costs. 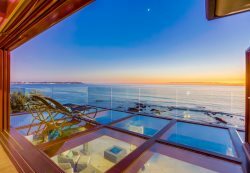 The cost of homeownership in coastal Southern California is always high and many owners rent during summer, Del Mar racetrack season, holidays and other special event periods to afford to keep their homes. So that the home doesn’t sit empty for months on end. An occupied property is a deterrent to crime and keeps deferred maintenance in check. Part of an investment/retirement strategy. Many homeowners purchase a home or plan to keep a home with retirement as the end goal and use as a vacation rental to offset expenses until then. To keep the home in the family. Many of our homes are owned by the families and children that grew up there to use and enjoy when they come back to San Diego. The ability to short-term rent allows them to keep the home in the family when not in use. A job transfer, out of town work, or absence to take care of a loved one. Vacation or short-term renting allows homeowners the opportunity to hold on to their home and keep ties in San Diego and use when they visit until they return permanently. How Do Owners Rent Their Vacation Homes? Many destination area homeowners across the country and world choose to short-term rent their home at one point or another. Many take advantage of services such as Airbnb.com, Homeaway.com or VRBO.com where you can list your home for rent while not using it. For those not interested in DIY vacation rental management, there are professional organizations such as Bluewater Vacation Homes. There are many advantages to employing a local professional. First, and most importantly, this means hands-on care for your property and taking the responsibility of ensuring the home and neighborhood is respected by guests. For out-of-town owners, nothing can beat that peace of mind. That said, there is wide range of options with just as wide a range of levels of care and accountability, so it become very important for guests and homeowners to research before deciding on an agency. Bluewater Vacation Homes places a paramount importance on eliminating any chance for guest issue before it happens. All guests must agree to a Guest Code of Conduct prior to booking and house and neighborhood rules are clearly explained prior to each rental. We are open 7 days a week and have staff on call after hours available to address any issues if ever necessary. Below is a discussion about the most common issues with vacation renters. At Bluewater Vacation Homes, the number of allowed vehicles is clearly stated in each of our vacation home descriptions. When reservations are taken over the phone, each guest is reminded of their parking allotment. Most guests travel together or share rental cars so parking is rarely an issue. Bluewater Vacation Homes has contracted with a local business that offers trash valet service as well as cleaning and sanitizing the bins when required to ensure that trash is never an issue. This is a responsibility that we are absolutely passionate about. When guests exceed a home’s occupancy, they are creating a hazard not just for themselves, but also for the owner and us. Overcrowding results in excessive wear and tear and damage and the potential for noise disturbances. Our vacation rentals come with reasonable, yet strict limits for occupancy and guests must abide to those limits or face immediate eviction. To correct a misconception, we do not accept anything less than 3-night rentals and 7 nights during busier seasons. We do not allow weekend parties, and bachelor and bachelorette parties are prohibited. The vast majority of our guests are families and friends and with an average length of stay of over 6 nights. Our vacation rentals are monitored regularly to determine that guests are adhering to policies and procedures. If a neighbor ever witnesses a non-compliance problem with any of our properties, they may contact us 7 days a week and 24-hours a day. we urge you to get in touch with us as soon as possible. As practicality allows, we address any issues that arise with our guests as soon as we are aware of them. We firmly believe that a well-run San Diego vacation rental can coexist in neighborhoods and homeowners have the right to rent their property long-term or short-term as they see fit as long as they don’t create a nuisance to the neighborhood. We always are quick to react to any questions or concerns and we will continue to do whatever we can to ensure the peaceful co-existence of short-term rentals with long-term rentals and homeowners in our neighborhoods. We invite you to call or email us of you have any questions or to learn more!